I’m arguing for a greater tolerance among consumers and retailers toward the costs associated with certain beers, or the revenue opportunities they legitimately represent for those breweries in a wider spectrum of considerations. Otherwise, this industry you’re claiming you have passion for and want to see grow is being held back by your own narrow idea of “what beer costs." I think there's some basic economic misunderstandings along the way--which (plug alert!) --you can learn about in our latest Beervana Podcast. But that's not my major concern. For me, the problem is that Micheal's looking at the consumers, not the breweries. Somehow these guys stay in business. Pricing is an interesting issue, and customers would do well to understand that some beers necessarily cost more than others to make. But here's where Michael and I part ways: the beer industry should not depend on the kindness of customers to keep them afloat. They are not charities we need to support with our dollars. And indeed, to do so perverts the market and keeps weaker (and less scrupulous) players in the game. I'd point people to Oregon as a great rebuttal to his thesis. Here breweries must compete on both price and quality. Our supply is insane. Breweries that overcharge or make mediocre products don't sell a lot of beer. (Rogue is basically the only brewery that overcharges, and their Oregon sales have been in decline for years.) We have natural ceilings on what breweries can charge for standard and specialty beers, both in pubs and on the grocery shelves. Specialty beers can't fetch more than about $15 (in a very few rare cases slightly more) without getting stuck on shelves--and breweries in other states where super-premium pricing in the norm avoid Oregon. Why would we pay $30 for a wild ale from Allagash when we have Block 15, De Garde, Solera, Logsdon, and Cascade here at home? Here's a good example. Josh Pfriem recently released his first batch of barrel-aged beers, and he sold cork-and-cage bottles (12 ounce), for under $10. The quality was spectacular. He priced the beer to earn a profit. And in this market, he needed to: as good as his Flanders-style beers are, he couldn't have charged much more for them. And yet Josh seems to believe he can make a profit this way, shocker of shockers. When I toured the brewery this summer, he took me to his barrel rooms (he has two), where all manner of wildlings lay ripening. Josh has spared no expense at the brewery--he even has a centrifuge, which I've never seen in a brewery that small--and is busy expanding the barrel-age program. And he can make a nice profit doing it. You could also look to Belgium, where the lambic-makers somehow manage to put together spectacular gueuzes (blends of vintage lambic, portions of which are aged three years) that they can ship to the US and sell for under $20. No brewer in Oregon to whom I've spoken has complained about price pressures. There's no danger that Oregonians are about to see their wonderful beer go extinct. But even if there were price pressures, it's not the consumer's responsibility to subsidize (or even worry about) the brewery with inflated prices. Beer is a good, honest beverage and it is quite possible to make it well and profitably. If it weren't, there wouldn't be 3,500 breweries in the US with just a handful of annual failures. As the market tightens, the best breweries will, like Josh Pfriem, learn how to continue to brew spectacular beer and sell it at a price consumers will pay. That's how markets work. Not by charity. I've always wondered what Rogue is thinking re: Oregon. With all of the MBAs they've got in the office, you'd think one of them would realize that pricing competitively here would yield more sales. Instead, it's a global brand with little respect on its home turf--the pubs in Newport and Portland are just tourist destinations now. It's like if none of the beer geeks in San Diego cared about Stone any more. Why give up on your own backyard? There's some really interesting anecdotal content here, and I always appreciate getting a Portland insight since it may well represent the future of many markets here. But I can't help but feel that you've constructed a straw man argument of "breweries aren't charities" in order to win an argument I wasn't making. Clearly I don't think breweries are charities - my entire article is about economic viability and finding a high-end market that's warranted and in demand. The short passage you selected and quoted here may seem to hint that I was suggesting otherwise, but that's the trouble with quoting out of context. To whatever extent it matters to you - the highe end market has already been proven based on secondary markets where beers go for 2-10X there retail value. The trouble I was addressing in the portion where I sided with Brewers was trying to help consumers understand that their competing desires are often in conflict, and that not all beers are intended to be accessible by the mainstream, either in their profile or their price. The confusion, and consumer backlash, occurs when those things are miscommunicated or not understood. Sorry for any typos - it's very difficult to review this on a mobile. I support a brewer's right to set any price they see fit for their products. If they wan't $ 100 for a special release? I've no problem with. I don't need to buy it. If I do choose to buy it, however, I will expect and demand according value for that money. If I don't get that value, I won't matter if the production costs were $ 99 or 9.9, or if the intention of the brewer was to cash in on a hot fad or to fulfill their lifelong dream, I will consider that beer to be overpriced, and I will very likely tell the world about it. And I believe that is where the problem lies. There's a growing number of people who feel they aren't getting value, and I doubt explaining the reasons behind those prices will do much to change that perception. In any case, and going back to the beginning, if I feel a beer costs more than what I'm willing to pay for 1 dose of an intoxicating drink, I buy something else. There's plenty of great beer, reasonably priced, for me to bother. Competition does help pricing significantly however saying that the high end beers are established by the secondary market seems somewhat inaccurate to me. For persons who don't have the distribution available to them the prices of special releases on the secondary market instantly skyrocket due to scarcity more than anything. I've seen bottles sold for $20 fetch $120 on the secondary market because you just can't acquire them anywhere else. When talking about pricing vs quality I feel like there is a little bit of price creep but, perhaps, this is the cost of doing business in the three-tier system. Everyone has to get theirs--especially the middleman. Bottles sold locally or in a tap room also won't have the same expense associated with wide-spread regional or national distribution. I think the idea of pricing is a bit more complex and flexible based on who and where you are. I've visited tap rooms where bombers are $7 but those rooms were in a totally different state with no distribution that I know of. That's a price that is unheard of where I live. I agree with Pivni. If the quality of the beer is inline with the price, a very subjective decision, then I will buy it time and time again. It is up to the consumer to decide and that is the game that breweries are playing. Pricing any product is a delicate art. Do you drive price down in hopes that you can drive volume? Do you price high to drive profits? What type of production volume do you need to produce to make your pricing work? Where is the balance? I think this is where clear business goals and a lot of leg work separate breweries that seem destine to succeed wonderfully, like pFriem, from those who will fizzle out and die. Oddly enough when I walk down the beer isle now a days I mostly look at craft beers on the lower end of the pricing spectrum (maybe its too many years of $15 bottles on the shelf here in OR). Most of the time I find myself looking at newer small craft breweries products and asking the question "how are they offering their 6 pack at the same price as Sierra Nevada?" I just cant see how XYZ brewery who is using a mobile canner, has a distributor, and produces 3,000 bbls of beer annually is turning a sustainable profit at $8.49 a six pack... and that doesn't even take into account that 1/2 the time they are on post off at $7.99! This scares me more then anything because it puts lots of pressure on other craft breweries who are interested in turning profit, and not becoming a brewery that is driven by volume, to reduce pricing. Yes, I do think there is price pressure. In the end its the quality of the product and how it is marketed (many times marketing trumps quality, at least in the short term) that is going to keep the consumer coming back. If you can find the correct balance as a brewery, consumers will speak with their wallets. Michael, I wasn't trying to straw-man you or twist your words. Aside from quoting an entire piece, it's hard to represent it comprehensively with an even pithy graf. But that was your wrap-up statement, and I thought it captured things pretty well. You certainly didn't use the word "charity." I was dissenting with what I believe the implications are in your words. You started talking about a $60 Goose Island and asked for customers to consider why that price is justified. Then when you came around to the "greater tolerance" quote I used, the plain implication seemed to be that consumers should be willing to pay more for beer to ensure they remain in the market. You directed the piece at consumers. And that was the point of disagreement I had. If it's not what you intended, apologies. I do think it resulted in an interesting exchange--and that's not a bad outcome. Individual breweries are such different businesses that is too difficult to expect standard pricing across markets. I have to agree with Michael, in that consumers must try to understand the costs associated with the products they demand. Breweries also have an obligation to communicate this more effectively when possible. I myself dont like having to spend more money, and often search for go-to beers at a great price. But I also know to get a FouFoune, I am gonna have to pay more for it than a fruited Berliner Weisse (ala DeGarde...which I like and will be visiting in 2 weeks or so). Many will not pay for a Cantillon, but they are clearly different products. Prices have risen, but so have the expectations for beers that cost more to make (hoppy, wild, wood-aged, etc). In the wine world, varied levels of pricing are accepted. There are plenty of consumers who search for questionable quality due to low price tags. Others gobble up overpriced Napa Chards or anything labeled "organic". Many expect low cost beer simply because mass produced beer (even from craft guys) tells us we can. I love seeing Sculpin convert palates as far as the eye can see. But I also would pay triple to have some of the 2008 version, if it were available, because I know how much better it was. Ask anyone in San Diego, and they will tell you that beers from Alpine are not the same if brewed at Green Flash (but you can bet your ascot that I still drink them). Quality should match pricing, but costs of beer are not equal because practices, expenses, real estate costs, packaging costs, labor costs, and even sales taxes are not equal. Even an IPA with certain hop varieties are not equal. The market is being educated, and I think it is only right to bring this topic up because 10 bucks for a 6 pack is a silly rule. Beer is the ultimate blue collar, democratic beverage and always will be...but it is so much more than that, as has been proved through the resurgence of its craft, Cheers to that. Martyn: "The problem is that - unlike with high-priced wine - there is very seldom a reliable, solid critical commentary about a beer/brewery to reassure the consumer that the high sum he/she is being asked to pay is likely to be worth it." When I first read this I wanted to cheer. But then I got to thinking about the beer magazines that I read (and for which I often write). 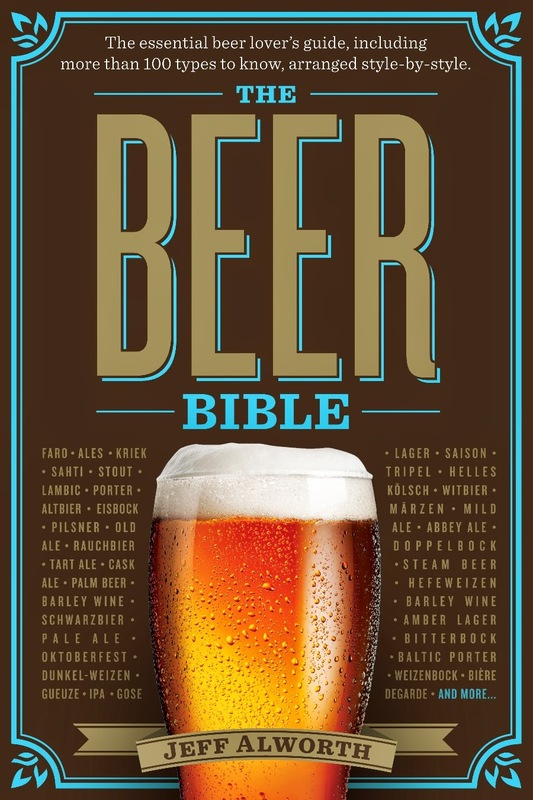 Most tend to have pages of beer reviews, ratings and tasting notes. They're there for anyone who wants to take them shopping. Would you like to see more of those, or is that not what you have in mind? I'll assume that aggregate rating sites like Ratebeer are not what you mean by "reliable/solid," although I find myself taking them more seriously than the ratings in magazines. Which I often ignore. I don't even know why. Maybe because I drink enough beers on my own, I think I don't need the guidance. Which is pretty arrogant, really. Not sure where I'm going with this, except to say that there are a lot of reviews and critical commentary on beers, if we choose to look for it. Are you looking for a Robert Parker? And if he appeared in the beer world, would any of us actually take him seriously? Very interesting article and threads. Speaking from the perspective of a small brewery in Oregon with SKUs in most of the major chains and convenience stores I have to lean, mostly, towards the opinions of Robert Fitzgerald and Michael Kiser. You mention that no brewers in Oregon who you have spoken to complained about pricing pressures...I can't speak for other breweries, but in my opinion that may be under reported for fear of looking like a bad sport or incurring the wrath of their distributors. And at risk of sounding like said bad sport, let me say that I agree that beer in Portland is priced at what the market will bear like any product, and increased competition can only do good things for beer quality. The beer industry should not expect "charity" from consumers, but lets consider for a moment what is driving the pricing and consumer perception that makes the market what it is. In any chain store (Fred Meyer is a great example), the wealth of possible craft beers is obvious. Clearly, it is up to the brewery to price their product where they can turn a profit, but that doesn't mean it is decided without pressure. All of the SKUs at most major chains (with Whole Foods and New Seasons as possible exceptions), are brought in through a distributor. A brewery can price their beer any where they want, but you have no chance of having your beer on the shelf (regardless of how high quality it is), if you can't price at a point that puts it in line with similar products and allows your distributor to advocate for it to the chain. As more consumers enter the market, the percentage of "educated" craft consumers will decline and the market will be more and more driven by price. Couple this with consolidation of macro beer companies and their distribution networks, purchases of major (and smaller) craft breweries, and you've got the recipe for some serious downward pricing pressure across the board. A friend of mine from California recently contacted me to express his surprise at finding 6 packs of Elysian on post off for about $6.00 down there. I can't comment or speculate on what their margins might (or might not) be on that, but I can say that to me it appears to be a pricing strategy that will drive pricing down overall, ultimately harming the smaller producers, regardless of quality. And regardless of ownership, that is quality beer, so what would motivate a new craft consumer who has no idea what AB-InBev is, to pay extra for the beer on the shelf right next to it? The market for craft 6 pack cans is also a great example. Our distributor is constantly asking us for cans, and espousing the volumes they are moving. At our production levels, our beer would have to be on the shelf for $11.99 a six pack to pencil out (still only $2 a beer!! ), but our distributor is not interested unless it can hit the "magic number" of $8.99, because anything higher can't drive volume. Next time you are in a Plaid Pantry, take a look and I'll bet you can find a 22oz of good craft beer for the same price (or less), as a bottle of water. That beer took 5 times as much water to produce, before even considering all the other costs associated with bringing it to market. I think Robert brings up some excellent points that each brand needs to be looked at as an individual business, and can't be grouped together (i.e. the cost to produce 20 bbl of beer might vary significantly across breweries even in the same town/market). Like any ecosystem, diversity is one of the greatest strengths of the craft beer industry, and the ultimate effect of consistently driving prices down will be less small producers, which ultimately harms the consumer, even if they are saving a few bucks a beer. With that rant out the way, let me say that I also agree that it is ultimately up to the brewery to educate their consumers. How do we keep beer as the ultimate drink of the people while still maintaining a competitive environment that allows the diversity and creativity of small producers to flourish? Well, quite frankly, to sell geuze in the US for $20 per bottle is ridiculous. Those bottles are crazily underpriced. 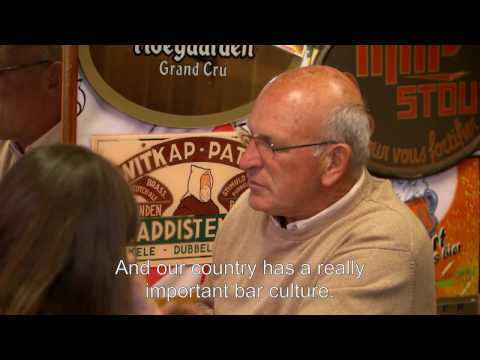 The Belgians could charge many times what they do now, and still sell all their beer. As it is, finding many of these beers is very hard no matter what you're willing to pay, and then when you do find them the price is like any other beer. Retailers generally need to know the brewers and be nice to them to get something to sell. That's pretty much the definition of underpriced. The cases you describe do sound like overpricing, but, well, so what? From your description it sounds like the Oregon market takes care of it nicely. As you indicate, the reason other states are different might be that the supply is different there. So whether beers are overpriced there becomes a matter of definition. To consumers probably these beers aren't overpriced when the choice is high prices or no beer. Which will be a mighty incentive for brewers to supply some supply. Anyway, I agree that consumers don't need a greater tolerance for high prices. It seems they generally have pretty high tolerance already. "take a look and I'll bet you can find a 22oz of good craft beer for the same price (or less), as a bottle of water." This example is off-point and distracts from the issues Jeff and Michael are addressing. Comparing retail pricing for water (a public utility and necessity) to beer (a luxury or complimentary product) is inappropriate. We need water to live and survive, so it's regulated as a cheap public utility in homes and public spaces. But at retail, especially where clean water may not be easily accessible (gas stations off the highway, for example), retailers can charge high prices for a necessity, because a consumer in need of water will have no choice but to pay in a moment of need. Beer, on the other hand, is not something we need for daily survival (despite what BA/RB/TB forum participants might say). Increased pricing for specialty brands can, and will, be justified when every single bottle of Rare made available to consumers sells out by close of business on Rare Day and Black Friday. I agree with your point, Jeff, that it's not our job as consumers to subsidize a brewery whose prices may be inflated. But Michael's point that smaller producers can use increased pricing for specialty products as a means of supporting experimental aspects of their businesses is well-stated, too. And the $60 Rare price tag may influence consumers' views of what a specialty beer can cost. Regardless, I'd be willing to bet that the most outspoken critics against Rare pricing have registered at least once to attend Rare Day next month. Nobody wants to miss out on #WhalezBro. Cost to retail on most craft 6 packs just went up about a buck a case on October 1. Many, but not all bombers took increases as well. Is Oregon really cheap? The sale price of Widmer 12pk in Portland is higher than the every day price at some Minneapolis liquor stores. This despite significantly higher state and local excise and goods taxes.